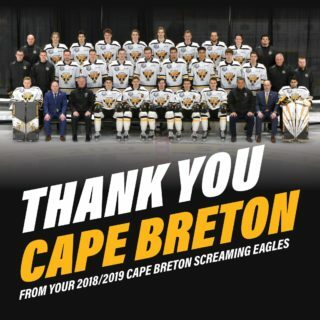 The Cape Breton Screaming Eagles have completed a number of trades at the beginning of the QMJHL’s June trade period today. The Screaming Eagles have acquired forward Mitchell Balmas (1998-03-19) from the Acadie-Bathurst Titan in exchange for Sherbrooke’s first draft choice in 2018 (#9), Blainville-Boisbriand’s second draft choice in 2018 (#36) and defenseman Ryan MacLellan (2000-02-03). Last season Balmas scored 42 goals and collected 30 assists through 68 games with Gatineau and Bathurst. 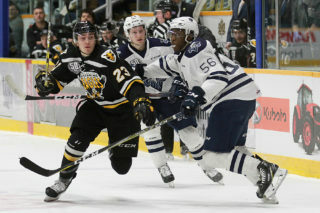 MacLellan recorded five assists in 31 games last season with the Screaming Eagles before being reassigned to the South Shore Lumberjacks in the Maritime Hockey League. Cape Breton has announced a pair of transactions with the Rimouski Océanic. The Screaming Eagles have traded for defenseman Wilson Forest (1998-03-11) in exchange for Cape Breton’s second round choice in 2018 (#25) and defenseman Philippe Casault (2001-05-24). Last season with Rimouski, Forest notched 21 points in 67 games with Rimouski along with a +16 rating. Casault played in the Nova Scotia major midget hockey league where he collected 16 points in 35 games with Cole Harbour. The Screaming Eagles have also acquired goaltender William Grimard (2001-09-29) from Rimouski in exchange for Shawinigan’s third round draft pick in 2018 (#38) and Cape Breton’s fourth round draft pick in 2018 (#61). Grimard spent last season with Trois-Rivières in the Québec Midget AAA league. 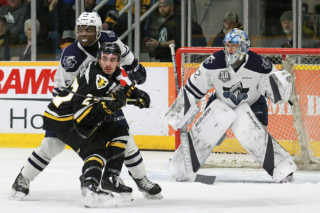 In 20 regular season games, Grimard posted a goals against average of 2.51 and a save percentage of 900 through 20 games while in the post-season he notched a goals against of 2.04 and a save percentage of .920 in 13 games. 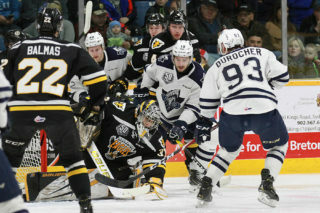 Cape Breton has exchanged multiple draft picks with the Chicoutimi Saguenéens. The Screaming Eagles acquired Charlottetown’s 1st round choice in 2018 (#10), Chicoutimi’s 2nd round pick in 2018 (#22), and Gatineau’s third round selection in 2019. In return the Screaming Eagles send to Chicoutimi Cape Breton’s 1st round pick (#7) and Gatineau’s third round choice in 2018 (#44). The trading period has opened up ahead of the 2018 QMJHL draft, which begins at 11 AM Atlantic Standard time on Saturday in Shawinigan.